Find out more about Sebastian Kawa, the 10 times world champion from Poland, and also some great international results for British pilots in the June/July issue of S&G. There are top tips on how to spot clues to make the right decisions as the thermalling day unfolds. 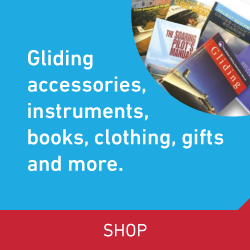 You can also read how to safely share airspace, with soaring described both from the glider pilot’s perspective and that of air traffic controllers. He’s number one in the FAI world rankings, current world champion in the 15m Class and European champion in the 18m Class. Sebastian Kawa is also an extremely likeable person, happy to share the tales of his success and experience. S&G caught up with Sebastian just before his visit to UK clubs in May to learn more about the 10 times world champion. When the forecast is for a promising cross-country day, what the day actually delivers can be less predictable. Tony Cronshaw asks coach Kevin Atkinson how we can learn to spot the clues that will help us make the right decisions as the thermalling day unfolds, in the first of a two-part Ask the Coach article – a plot of twists and turns. 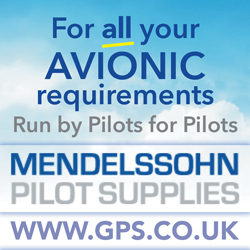 During any cross-country, it is vital to be aware of who we might be sharing airspace with. 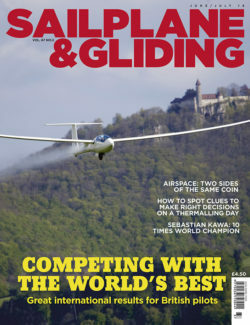 In this issue, we look at two sides of the same coin, with John Williams outlining soaring from a glider pilot’s perspective, while air traffic controllers explain why gliders are generally not perceived as an ATCO’s best friend and what, if anything, we can do to change that. When Midland and Wrekin gliding clubs organised an expedition to Llanbedr, daily phone calls to RAF Valley paved the way to better situational awareness. Members found that contacting RAF Valley ATC in the air couldn’t have been easier and that, like all air traffic controllers, they would rather talk to you than not – even if you don’t have an RT licence. Also in this issue: Pete Stratten looks at adding a privilege in an SPL and LAPL(S) conversion update. S&G reports on the gliding interests at Europe’s biggest aviation fair, held in Friedrichshafen in April. There’s a report on the AeroSPARX display seen by almost four million in The One Show’s 90th birthday tribute to the Queen. David Innes muses on his first flight of the year, and offers advice to those intending to fly over the Scottish mountains. Matt Davis reports on the Juniors Winter Series. Guy Westgate reports from the United Arab Emirates, where GliderFX got to play with the world’s best fliers from the elite Skydive Dubai wingsuit team. Steve Pozerskis and Andy Holmes visit Linton-on-Ouse for an insight into RAF measures to avoid an Airprox and enjoy unforgettable Tucano flights. Katharine York reports why Lincolnshire GC teamed up with a training facility to give teenagers a taste of gliding. Jordan Bridge explains how funding helped him progress to assistant instructor. Kieron Shaw explains how a RAeC Trust bursary helped a sixth-former take the first steps to becoming a commercial pilot. BGA Development Officer Alison Randle asks how clubs can buck the 1.4 per cent trend. Debb Hackett reports on Willy Hackett’s quest to fly as many Schweizer types as possible in the USA. There are many more of your stunning images in the Gallery pages. And last, but not least, there’s the BGA club annual statistics.